+ Walk Score of 96 - "Walker’s Paradise"
+ It's a quintessential Japanese studio apartment. + Modern and well furnished. + There is a double bed with all cotton sheets and feather duvet along with a large single sofa bed that can be prepared - please send me the request prior. Studio is a typical Japanese studio and not large by Western Standards, but perfect for the solo traveler or couple. + All the essentials and more are provided that you can read below about in amenities. + The closet is large and there is ample storage throughout. + The kitchen is also ready to be used and fully stocked if you want to try your hand at cooking. The pin drop is slightly off on the map by a couple blocks. If you want the exact address please message me. Also please note if booking same day it may take ~2 to 3 hours to get the apartment ready. We will try to expedite this as much as possible. Message me for more details. Shiba is a great neighborhood. It's home to Tokyo Tower and you can access all areas of such as Shibuya, Shinjuku, Roppongi, and Akasaka super easily via train. 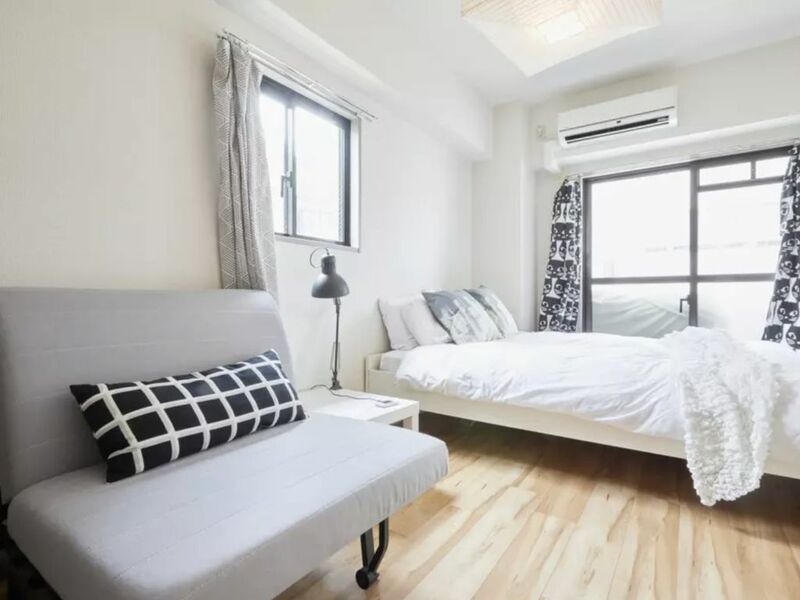 The studio is a 4-minute walk from Akabanashi Station for the Oedo Line. For travel to and from Haneda or Narita Airport please route to Akabanashi Station via Maps for an estimated route and timing. :) would stay here again! The stay was pleasant. We feel welcomed enough and the host left a message in the place which is a nice touch. Also, she was very helpful in providing assistance to airport transport. My family and I visited tokyo recently and had a great time! Our apartment was close to hatagaya station and just a few minutes away from many restaurants and differents shops. When we come back, I am definitely checking in. This is an incredible place to stay for a small party. Quite honestly couldn't be in a better area. Would stay here every time I come to Tokyo. A++ host!